Mildred "Millie" A. 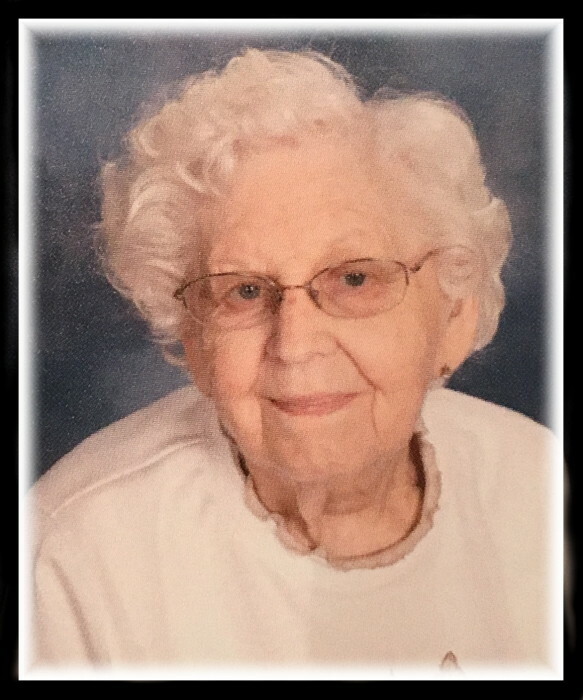 Rose, 89 years, 7 months, Nebraska City, Nebraska, passed away at Creighton University Medical Center in Omaha, Nebraska, on Thursday, December 1, 2016. Mildred A. Pottorff was born on April 26, 1927, in St. Joseph, Missouri, the daughter of Ninevah Earl and Flotia May (Fowler) Pottorff. Mildred was known to her friends and family as Millie. She grew up in St. Joseph, Missouri. On March 2, 1950, Millie and William "Bill" C. Rose were united in marriage in St. Joseph, Missouri. To their union were born three children: Kathy Sue, Patricia and William A.. Millie and Bill moved to Nebraska City, Nebraska, in September 1956, where they made their home. She worked for Morton House Kitchens in Nebraska City on the canning floor. She studied for and received her GED after leaving Morton House. Millie was a member of the First Presbyterian Church in Nebraska City, where she served as Sunday School Teacher and a church Elder. She was also involved in the Eagles Auxiliary. Millie was preceded by her: parents; 2 brothers; 4 sisters; daughter Kathy on March 3, 1969; and husband on June 3, 1997. Millie is survived by her children: Patricia "Pat" Kroll and husband Erlink of Fredericksburg, Texas, and son, William "Bo" Rose of Lincoln, Nebraska, other relatives and friends. Viewing for Mildred A. Rose will be held on Friday, December 9, 2016 from 10:00 a.m. until 11:00 a.m.. The Celebration of Life Funeral Service will be at 11:00 a.m., followed by a luncheon where the family will greeting relatives and friends, all at the First Presbyterian Church, 1005 - 1st Corso, in Nebraska City, Nebraska. Burial will be held at 3:00 p.m. on Friday, December 9, 2016, at the Halleck Cemetery, near Faucett Missouri. Donations may be given in memory of Millie to: the First Presbyterian Church; the Morton-James Public Library in Nebraska City; or charity of your choice. Condolences can be sent to Peterson Mortuary, 111 N 11th St, Nebraska City, NE 68410, or on our website - www.PetersonMortuaryNE.com or emailed to PetersonMortuary@hotmail.com.